– Rb:PPKTP Optical Parametric Oscillator with Intracavity Difference-Frequency Generation in Temperature-Tuned OPGaAs in section "Applications of Nonlinear Optics". – Wide aperture PPLN structures for cascade MID-IR OPO intravavity pumping. – insulation gas leak detector SF6 LaserGasTest. 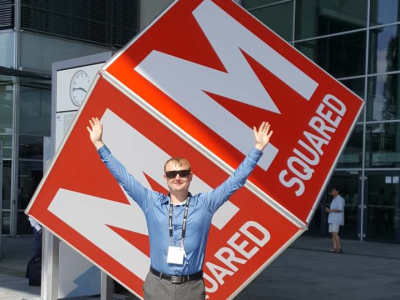 The young scientists of Special technologies, Ltd. were participated in Advanced Solid State Lasers Conference (4–9 October 2015, Berlin, Germany). 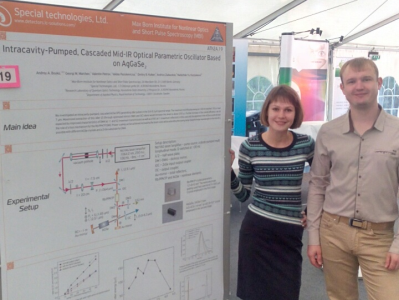 Our scientist in cooperation with colleagues from Max Born Institute for Nonlinear Optics and Short Pulse Spectroscopy (MBI) represented research results on the theme "Intracavity-Pumped, Cascaded Mid-IR Optical Parametric Oscillator Based on AgGaSe2". 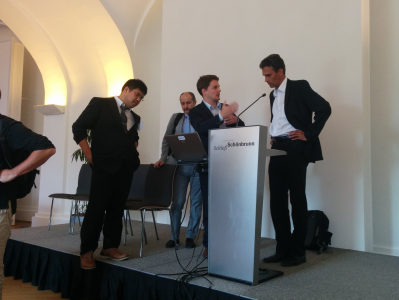 Special technologies, Ltd. participated in a series of packed sessions for three days beginning September 14 at the Schonbrunn Palace in Vienna, Austria. On the second day of a summit our team represented talk "Analytical techniques used for analysis of breath samples for medical diagnosis and therapeutic monitoring". We discussed the abilities of the methods of infrared (IR) laser spectroscopy and the principal component analysis (PCA) technique for a totally noninvasive express diagnostic of chronic obstructive pulmonary disease (COPD) on the basis of absorption spectra analysis of the patient’s exhaled air. Laboratory research of the exhaled air of patients with COPD and healthy nonsmoking volunteers was carried out at Siberian State Medical University (Russia) and in the Tomsk State University (Russia). 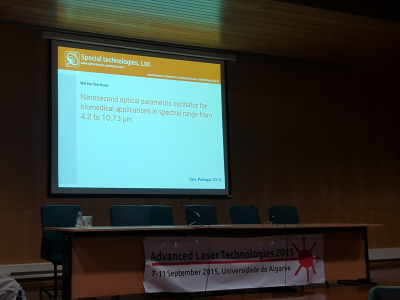 Specialists of Special technologies, Ltd. presented talk "Nanosecond optical parametric oscillator for biomedical applications in spectral range from 4.2 to 10.73 μm" at International Conference on Advanced Laser Technologies (September 7-11, 2015, Faro, Portugal). "For qualitative and affordable medicine!" 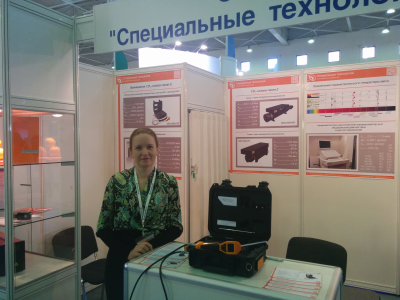 Company director in collaboration with professor Kistenev (Tomsk State University) took part in the exhibition which was held in the framework of the forum (September 6-8, 2015, Moscow, Russia). 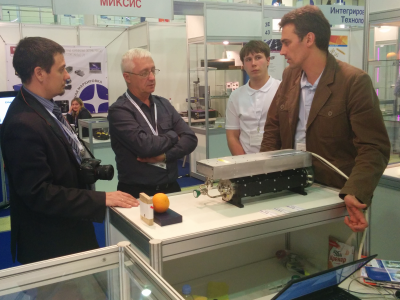 At the exhibition was presented laser spectrometer LaserBreeze for medical researches: screening, laboratory analysis and treatment efficiency control. 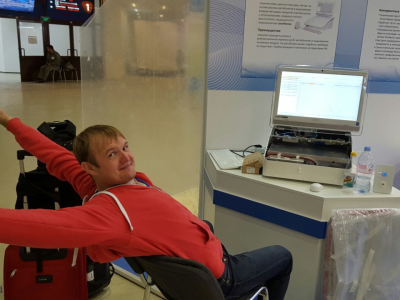 It is noted that presented spectrometer have a high interest of the professional community (eg, the chief pulmonologist of the Perm region). 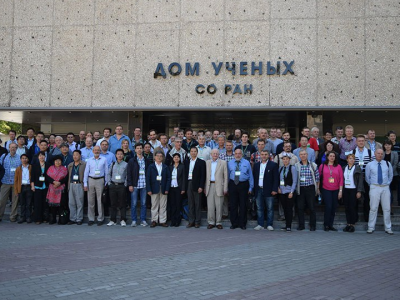 On the other side, project aroused interest of professional community to participate in the formation of specialized research groups in different regions of Russia, for the collection of primary data for the screening of various diseases. 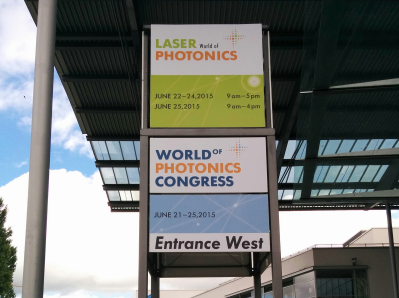 Representatives of Special technologies, Ltd. attended the world's leading trade fair for the laser and photonics industry LASER World of PHOTONICS (June 21-25, 2015, Munich, Germany). In the journal "Photonics" (No. 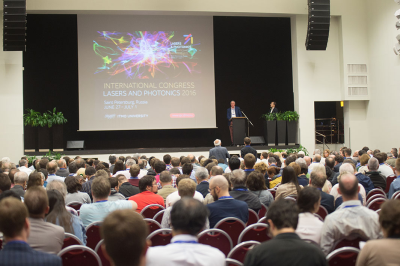 4, 2015) was published a review about new trends in laser and photonics industry, interesting views from exhibitors and from visitors. As a result of the exhibition work we decided to make a series of experimens to select the optimal settings for the cutting, engraving and labelling by CO2-laser.